Senior guard JerShon Cobb is the Wildcats' top returning scorer with 12.2 points per game. 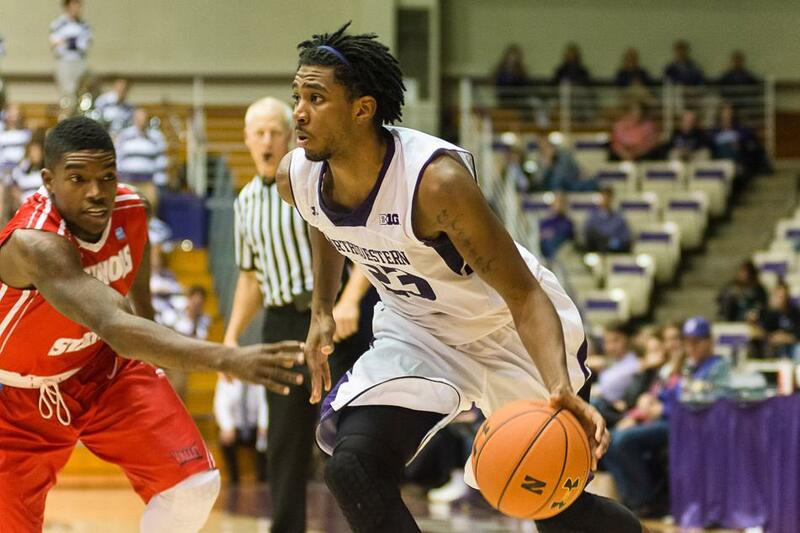 Coach Chris Collins expects him to once again be one of the team's top offensive weapons. JerShon Cobb has been through a lot at Northwestern. The 6-foot-5-inch senior guard from Decatur, Georgia, arrived at NU in fall 2010. Since then, he’s played in 73 games, logging almost 2,000 minutes. There have been bumps along the road. Sometimes even potholes. Cobb has gotten hurt every year he’s played at NU. Due to injuries, he missed seven games as a freshman and 12 as sophomore. Then there was the 2012-13 season, which Cobb missed entirely due to suspension for violation of team policy. But Cobb did return, playing a key role for the Wildcats last winter. That is, until he got hurt again. Cobb sustained a foot injury in late February that sent him back to the sideline. After the year, he had surgery to repair a meniscus injury he had played through. Cobb spent the offseason getting healthy. He says he is getting back to where he wants to be. When Cobb is healthy, he’s an outstanding player. He can score from the outside (35 percent three point shooter last year), battle for rebounds (4.8 rebounds per game last year) and play both the one and the two. Playing point guard showed the soft-spoken guard’s ability to lead. As a senior, Cobb’s leadership role is now unquestionable. Freshman guard Johnnie Vassar says Cobb is a positive influence on the team’s many young players. Coach Chris Collins hopes Cobb’s rehab will also serve as a form of leadership by example. Now a captain, Cobb has seen injuries, suspensions, big wins — he says the win at Wisconsin last year sticks out for him — and long, losing seasons. For all Cobb has been through at NU, there’s still something he hasn’t experienced. Cobb has yet to feel what it’s like to play in his sport’s crown jewel: the NCAA Tournament. But there is still time left for Cobb to check a trip to The Dance off his basketball bucket list.